A fire engulfed the “Winter Cherry” shopping mall in the Russian city of Kemerovo on March 25, leaving scores dead, including children. KEMEROVO (Sputnik) - The Kemerovo Region's acting Governor Sergei Tsivilev has pledged that those responsible for the deadly fire in a shopping mall in the regional capital will get the severest punishment and that nobody will manage to escape justice. According to the statement of the Kemerovo administration, Aman Tuleyev has submitted his resignation as governor of the Russian Kemerovo region on a voluntary basis. 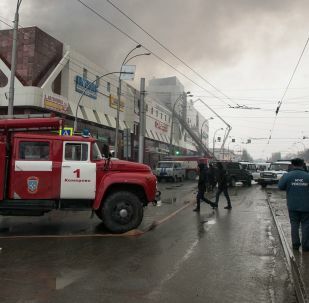 MOSCOW (Sputnik) - Two hundred people have asked for psychological assistance over the past two days in the wake of the deadly fire that erupted in a shopping mall in the Siberian city of Kemerovo this weekend, Russian Health Minister Veronika Skvortsova said Friday. 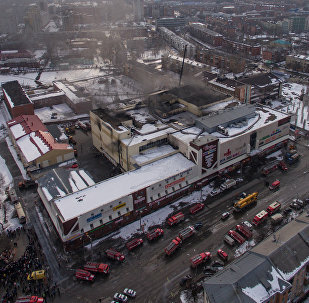 MOSCOW (Sputnik) - Over 700 people were evacuated from the Zimnyaya Vishnya ("Winter Cherry") shopping center in the Siberian city of Kemerovo after the fire erupted, Russia’s Emergencies Ministry said on Friday. 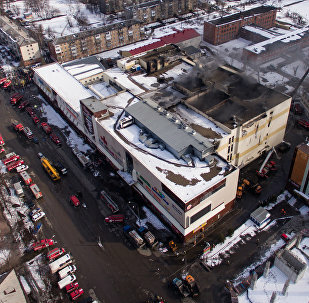 MOSCOW (Sputnik) - The head of a Russian firm that managed the Winter Cherry shopping mall, struck by a deadly fire last week, is in custody and will be charged with violating fire safety rules, the Investigative Committee said. MOSCOW (Sputnik) - Most fake reports about the deadly fire in Kemerovo came mainly from Ukraine and Turkey, Kremlin spokesman Dmitry Peskov said Thursday. UK residents have reacted to the fire in the Siberian shopping mall, which took place while it was full of visitors. The bodies of 64 people have been found, while 14 people remain hospitalized. 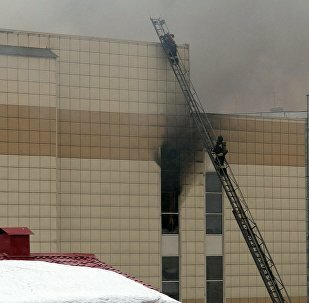 MOSCOW (Sputnik) – The Basmanny District Court in Moscow backed the request of the Russian Investigative Committee to arrest in absentia the Ukrainian prankster who has been spreading false information about the number of victims of the deadly fire at a mall in the Siberian city of Kemerovo. While the first funerals for the victims of the shocking tragedy have just been held in the coal-mining town, Wednesday has been declared a day of national mourning in the country. 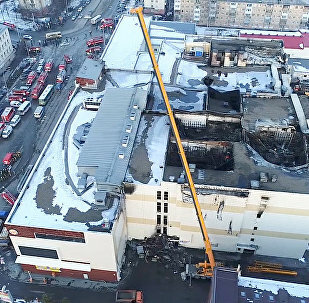 While the whole country is mourning the devastating loss of 64 people who died trapped in a mall in the Siberian city of Kemerovo, commentators in the social networks have suggested that whistleblowers inspect facilities to ensure fire safety and prevent further tragedies. 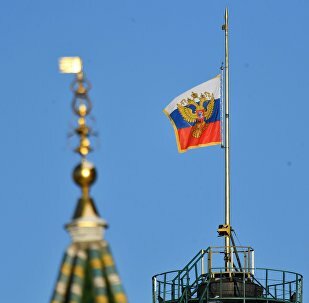 MOSCOW (Sputnik) - Russia holds a nation-wide day of mourning on Wednesday after a deadly fire in a shopping mall in the Siberian city of Kemerovo. KEMEROVO (Sputnik) - A total of 27 victims of a deadly fire in a shopping center in the Siberian town of Kemerovo have been identified as for the current moment, the head of the main directorate of the Russian Emergencies Ministry in the Kemerovo Oblast, Alexander Mamontov, said on Wednesday. The vice governor of the Siberian city of Kemerovo, Sergei Tsivilev, kneeled before the families of the victims of a major fire that took place in a shopping center last Sunday. 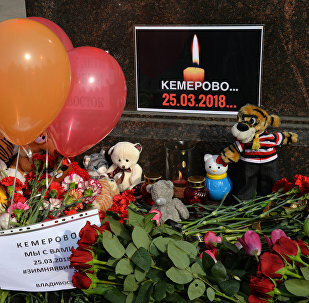 While the national teams will be wearing black armbands during their clash in St. Petersburg two days after the tragedy, the fans organized their own event. 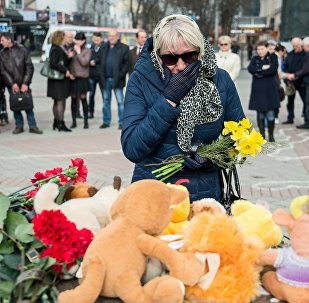 KEMEROVO (Sputnik) - A deadly fire engulfed a shopping mall in the Russian city of Kemerovo on March 25, leaving at least 64 people dead, including 41 children. 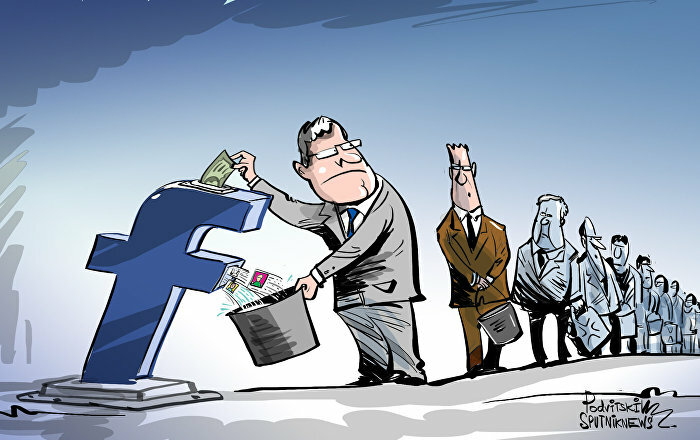 The country is mourning the victims of the tragedy and investigating its cause. 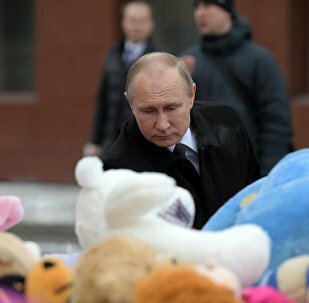 KEMEROVO (Sputnik) - Russian President Vladimir Putin arrived in the grieving Siberian city of Kemerovo on Tuesday morning and laid flowers near the Zimnyaya Vishnya ("Winter Cherry") shopping center, in memory of the victims of Sunday's deadly fire. The shopping mall “Winter Cherry” in the Russian city of Kemerovo caught fire on March 25. The incident claimed the lives of 64 people, mostly children. Sputnik gathered stories of the 5 most dreadful Russian shopping mall fires both by magnitude and casualties. According to the latest death toll published by Russia's Investigative Committee, the fire at the "Winter Cherry" shopping center in Kemerovo has taken at least 64 lives.